Hubsan X4 Pro H109S — the quadcopter that got a lot of enthusiasts excited when it was showcased at CES. Today we review the Hubsan H109S X4 Pro – the throne holder for the most awaited drone of the past two years, without a doubt. It drew a lot of eyeballs when it was displayed at the CES 2015, and it has been awaited ever since. The drone has had the industry-leading specs, and a much lower proposed price tag than the leading drones with similar specifications, and this is what made the Hubsan so popular among the enthusiasts. The multi-rotor device has had such a rapid development that the drone came out before the waiting crew of enthusiasts ran out of their patients. Those that did run out of patience and bought the Yuneec Q500 or DJI Phantom 2 Vision+ in the meantime are actually regretting their choice, as due to such rapid developments, the Hubsan has come out just the way people imagined it would. 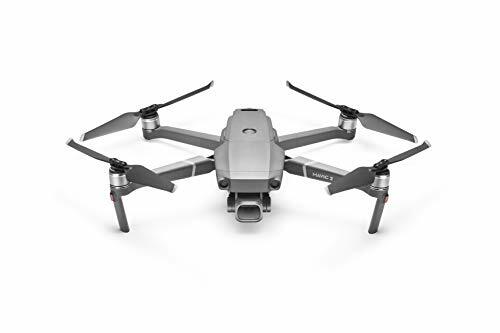 Unfortunately, this drone is not available for purchase online as of 2019, but we at BuyBestQuadcopter have you covered, as we did a detailed review of mid-range drones, which have similar specs and capabilities as the H109S. The Hubsan X4 Pro is the first quad from Hubsan that is in the 300-size quad market. With a 380-size, it has the same class of specifications as the Yuneec Q500, but is much lower priced, and promises to be a very remarkable quad. This is why people are hoarding for buying the quad, and the enthusiasts are all in a jiffy regarding this. Some features of this quad are notably: the 7000 mAh battery that is humongous for a quad. It is simply the largest battery that any company has put inside a 300-size quad, and this is a key feature. The Hubsan X4 Pro records flight times 35 minutes without the camera gimbal system and about 25 minutes with it, and that is impressive again. This makes the Hubsan the drone with largest battery and longest flight times in the multi rotor drone class. The Hubsan also packs in a parachute in the stock variant, and this is a first. Usually, parachutes are available, but as add-ons. When bump into a collision or an accident crash, the parachute will automatically pop-up to prevent the X4 Pro broken. It can remove or assemble freely and use many times. Hubsan fit it all inside a sub-$1000 drone, and this is what adds to its value again. The controller has not been as covered in media, but Hubsan claims that the controller can navigate via waypoints, and have GPS features like automatic takeoff, hover, return home, etc. We suspect that the Hubsan has the APM AutoPilot controller that allows for waypoint navigation, which has only been seen in the Walkera QR X350 Pro, which uses the same controller. The X4 Pro has such an impressive 10-channel transmitter that others in the market have been diminished to mere play-things. It has an Android based 4.3-inch color screen transmitter, that allows FPV videos and all the control options. We suspect that the X4 Pro comes with two transmitter options, one that is fully featured with all the options listed above, and another stripped-down version that seems similar to the one used in the Hubsan H301S Spy Hawk airplane. The Hubsan H109S X4 PRO FPV Quadcopter was rumored to come with two antennas the clover and patch. This will provide a video distance of between 300 and 2000. This has yet to be confirmed. The camera in the X4 Pro is Hubsan’s own version of a 13 Mega Pixel HD aerial camera. It also comes with a GoPro configuration. The camera has a 3-axis gimbal system, which has an angle sensitivity of 0.03, which is close to the high-end Yuneec Q500, which we reviewed here. The entire feature set of the Hubsan is amazing, and at a price range that is lower than the competitors, it is a killer. Sellers have been taking pre-orders of the Hubsan, and the device will be available for sale very soon. We should expect a great performance from a device of such caliber. Have fun and happy flying!